Raita is a cooling dish that accompanies many spicy curries. It is usually made with a yogurt base, but I use milk kefir because they are very similar and the kefir is easy to make at home. The cooling properties of milk help to balance the heat from many Indian dishes. 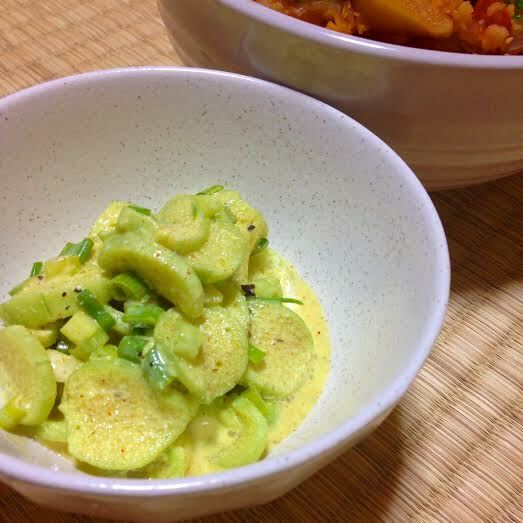 One of the most common varieties is cucumber raita, so I made one with raw lotus instead. 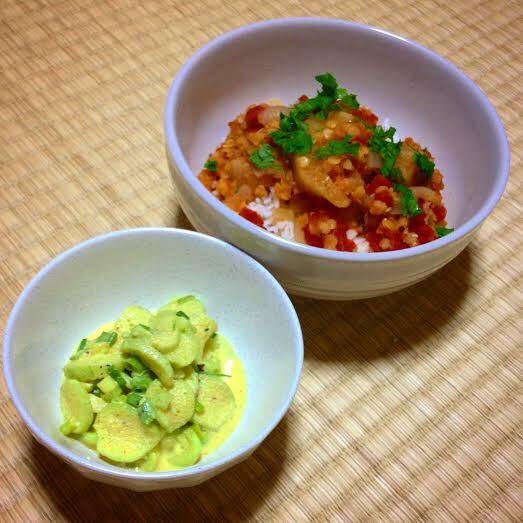 It goes perfectly well with the Lotus Stalk Curry from last week. Husbatron confesses that he likes lotus stalk better than lotus root! There is a place in my heart for both. The stalk keeps well in the fridge and the texture remains crisp. 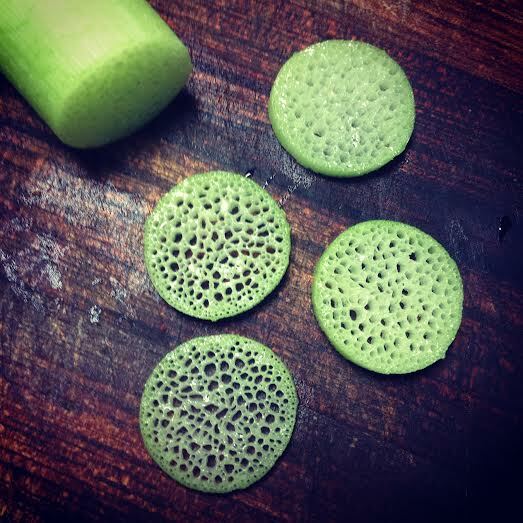 I like the simplicity of preparing lotus stalk. You can peel it by hand and slice into thin rounds. They soften when mixed into raita. Using a whisk, mix the milk kefir or yogurt with all of the spices until well combined. 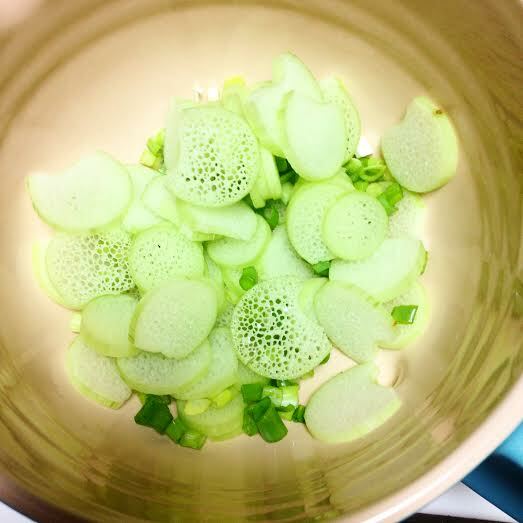 Stir in the green onion and lotus slices. This needs 30 minutes to an hour for the flavors to mingle and get to know one other. Let it sit in the refrigerator while you prepare your main course. This entry was posted in Food, Iwakuni Foods, Local Food and tagged lotus, lotus raita, milk kefir, raita, raw lotus stalk, vegetarian.